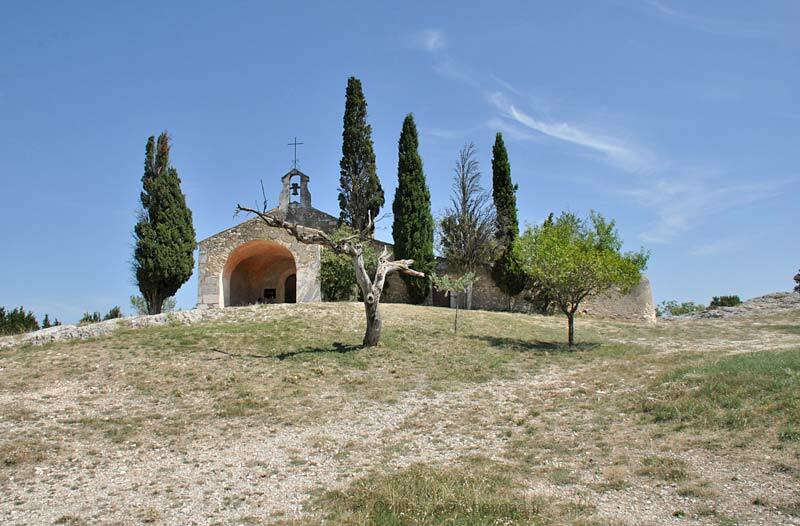 Saint Sixte is a very picturesque 12th-century chapel sitting on a low, exposed hill just east of the village of Eygalières. Framed by the tall cypress and a with a knarled dead tree in front, this is one of the best-known images there is of Provencal Romanesque art. 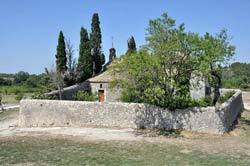 Van Gogh painted the Chapelle Saint Sixte during the 1889-1890 period when he was staying at the Asylum of St Paul-de-Mausole beside St Remy-de-Provence. The first known reference to the chapel was dated 1155. Major renovations occured in the 16th and 17th centuries. During the Plagues of 1629 and 1720 the site was used as a lazaret, a hospital and quarantine station. The Roman "Eygalieres aqueduct" began at sources near the Saint Sixte Chapel to carry drinking water to the town of Arles, about 40 km to the southwest, passing via the famous Barbegal Mills to provided the flour for the bread of the inhabitants of Arles during the 2nd and 3rd centuries.